Thermal Imaging Protects Your Building & Prevents Disaster. specialising in accurate thermography scans and reports. if and where water is getting into your building. By the time you can see leakage, repairs can be costly and time consuming. Why Choose Thermoscan Building Thermal Imaging Service? Think of thermography as a forensic tool that protects your building by identifying moisture in exterior walls and on and around roofs. Add thermal imaging to your critical maintenance tasks and ensure your safety and efficiency. Thermoscan is the only thermal imaging company serving all of Australia. 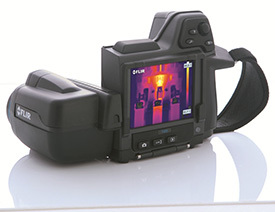 Thermal imaging is our specialty – it’s what we do. You don’t want to leave a critical prevention task to the ‘one man shop’. Lots of building inspectors have added thermal imaging to their bag of tricks. Nothing wrong with that unless you end up hiring one whose strategy is to find faults they can then ‘fix’. We’ve seen this done time and time again and so have some of our clients – they weren’t happy about it. Thermoscan is a professional company serving commercial properties only – we don’t offer residential or domestic services. We’re focused on what businesses need – and in some cases what you’re required by your insurance company to provide. Thermoscan provides nationwide thermal imaging and preventive maintenance and our specialty is rapid and accurate thermography scans and reports. Our team of industry qualified electricians and thermographers responds quickly and provides accurate scan reports for most thermal imaging applications. We’re ISO Safety & Quality Certified and 100% independent, unlike some electrical contractors who invent “phantom” faults… so they charge to fix them! Our “fast-quote, fast-report” process allows us to generate a quote in under 24 hours and provide an accurate, detailed report within 24 hours of completing a scan. 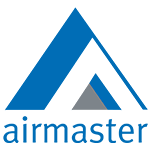 When you need professional grade service you can rely on, Thermoscan is the company you call. Don’t put off this critical prevention task one more minute. Be safe, rest assured.